Today is a special day for me… my husband and I got married 7 years ago. After dating for 7 years and now 7 years of marriage, we have been together a total of 14 years. I am so lucky to have found him so early in life. Birthday cards and projects are so fun to make. A handmade gift always makes the recipient feel extra special. This was such a fun card to make. Stampin’ Up! 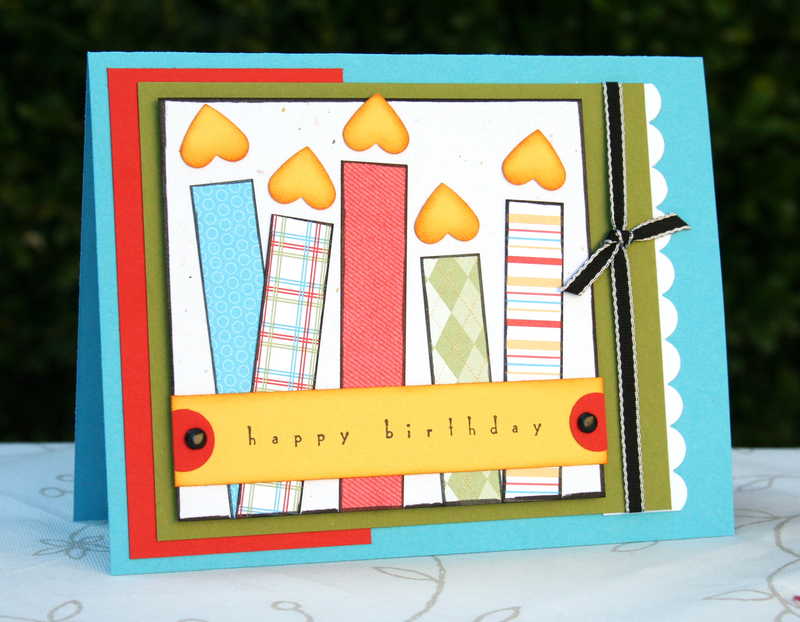 used to have a really fun set called Big Birthday Candles, but it is retired so I used paper strips and the small Heart Punch to create the look I wanted. 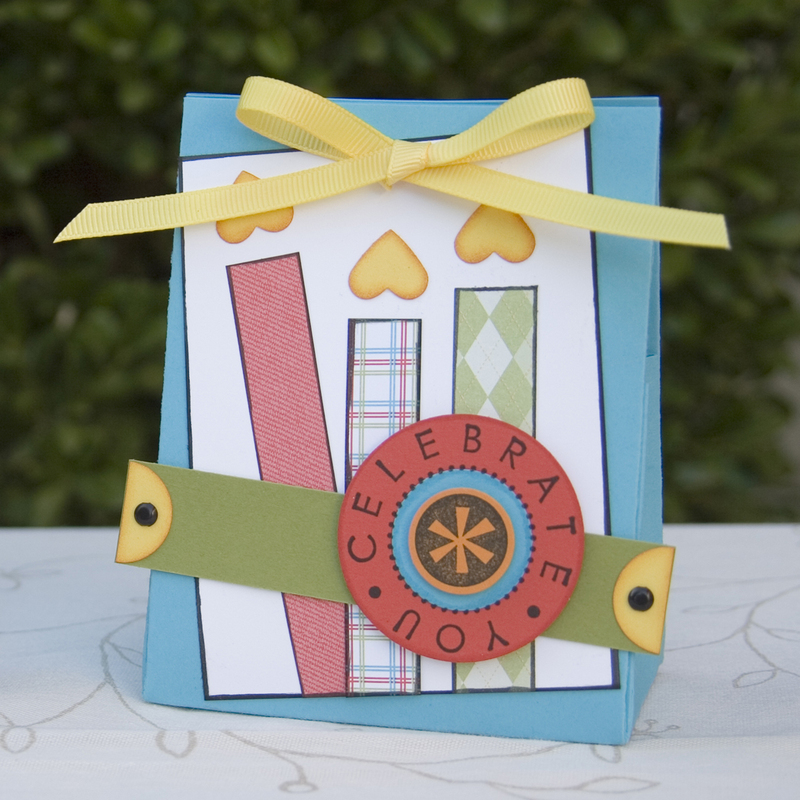 After making the card, I just had to use the cute elements and colors to create a fun little bag to go with it. The photos were taken on different days, that is the reason for the colors not matching, but they both use the same colors. I love the idea of using the small heart punch for the flames. Great idea and great card. Congrats on your anniversary!